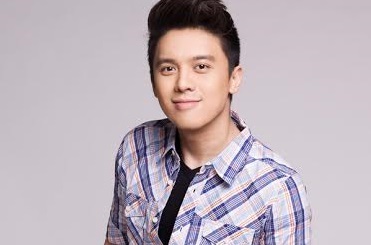 Get to know about Tim Pavino, one of Star Music's newest recording artists. Star Music has recently released Tim Pavino's self-titled debut album on Spotify. The album includes the carrier single "Good Vibes," which made waves late last year, when it was used as a musical scoring for It's Showtime's defunct segment of the same title. The song had even dominated radio hit charts for several weeks when it was launched. Soon, the album will be out in leading record bars and online music stores. It is definitely a dream come true for Tim, a former contestant of The Voice of the Philippines Season 2. Recalling the blind auditions in 2014, he performed Martin Nievera's "You Are My Song" that captured the heart of Lea Salonga, who became his coach throughout the journey. In September 2015, Tim, whose full name is Timothy, inked a recording deal with the ABS-CBN recording label with manager Carlo Orosa and Star Music's Jonathan Manalo and Roxy Liquigan present. That time, Tim shared his dream of hearing his songs on ABS-CBN teleseryes. In his album, we, from OneMusicPH, think that the song "I'd Do Anything" would fit for an ABS-CBN teleserye in the future. Do you agree with us? Share your thoughts below!